JOHNS - The Liquor Cellar | St Ives & Truro, Cornwall | Craft Spirits, Fine Wines, Local Beers. ONE OF THE SOUTH WEST'S PREMIER INDEPENDENT RETAILERS FOR CRAFT SPIRITS, FINE WINES & LOCAL BEERS. Johns' - The Liquor Cellar is one of Cornwall's oldest family businesses. Established in St Ives in 1894, the enterprise has developed into one of the South West's premier independent retailers of craft spirits, fine wines and local beers. Operated by brothers Tom and Sam Hanson (great, great, grandchildren of founder Elizabeth Johns) The Liquor Cellar currently has two outlets, one in Fore Street St Ives and one in Lemon Street Market, Truro. Both locations are staffed by WSET-qualified industry professionals, trained to offer expert advice on the enormous range of premium drinks. So whether you're looking for a special whiskey, a spiced rum, or a new bottle of gin for the collection, be sure to pay The Liquor Cellar a visit!  IF YOU'RE HEADED TO OUR ST IVES STORE, BE SURE TO PICK UP A BOTTLE OR THREE OF OUR VERY OWN HAND CRAFTED CORNISH CRAFT CIDER, IN A RANGE OF DIFFERENT STYLES, VARIETIES AND FLAVOURS. q.. What are your opening hours? a. The opening hours for each store may vary, so be sure to check our Facebook pages before you visit! a. We do not currently sell online. For logistical reasons, we decided to shelve the online side of the business, to focus on our two retail stores. a. We try to provide samples for as many products as possible. Pop in store and see what we have to offer! a. Trade discounts are available. Please contact johnswines@hotmail.com for further information. a. There is no John. Johns is our family name. Interestingly, the business was called "E. Johns" after our founder, Elizabeth Johns. VISIT OUR VERY OWN BAR & RESTAURANT "BEER & BIRD" - LOCATED IN THE HEART OF BEAUTIFUL ST IVES, BOASTING THE FINEST CRAFT BEERS, TASTY COCKTAILS, AND POSSIBLY THE BEST LOCAL, FREE RANGE FRIED CHICKEN IN THE SOUTH WEST. We hope to be in touch with you as soon as possible. JOHNS - The Liquor Cellar | St Ives & Truro Cornwall | Craft Spirits, Fine Wines & Local Beers.